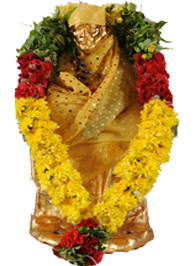 Visitors to the temple are factually guests of the Sai who resides as the Deity in the temple. Just as we honor the Deities with the highest standards of spiritual service, the hospitality is the utmost care provided to all pilgrims. Available near to temple with a private and silence area to feed little ones. The gracious facility offered to devotees considering nutritional value everyday after Naivedyam.